What a magnificent production, this show zapped along at an astonishing pace. It was hard to believe that this was a youth production. 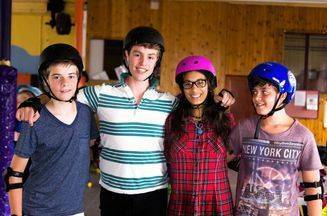 This was a most challenging and ambitious show, all done with children aged eighteen and under. 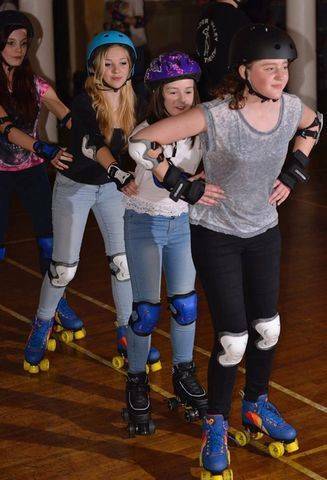 They took it all in their stride with fantastic singing and choreographed roller skating, all happening at the same time. 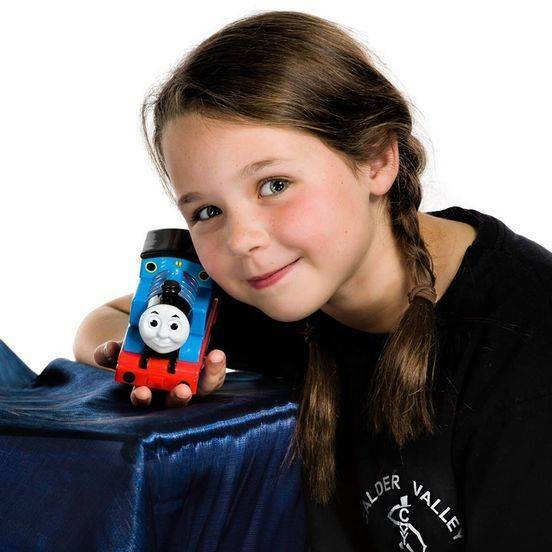 The performance started with a little girl in bed with her trains and as she dreams her trains come to life. The various engines compete to become the “Fastest” Engine in the world. Rusty and Pearl, (Bertie Yates and Elodie McGhee) both gave consummate performances to roles that were demanding in terms of singing and movement. 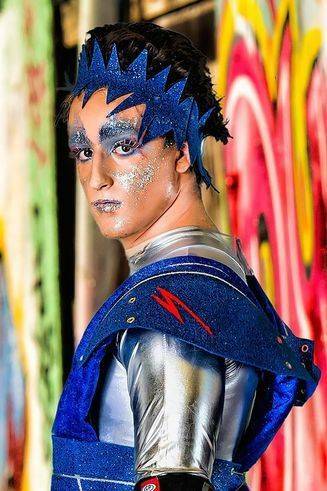 Indeed all principles gave competent performances, from Greaseball, (Joss Swindells) Electra. (Alex Hall) Poppa, (Adam Gill) and all their individual gangs. 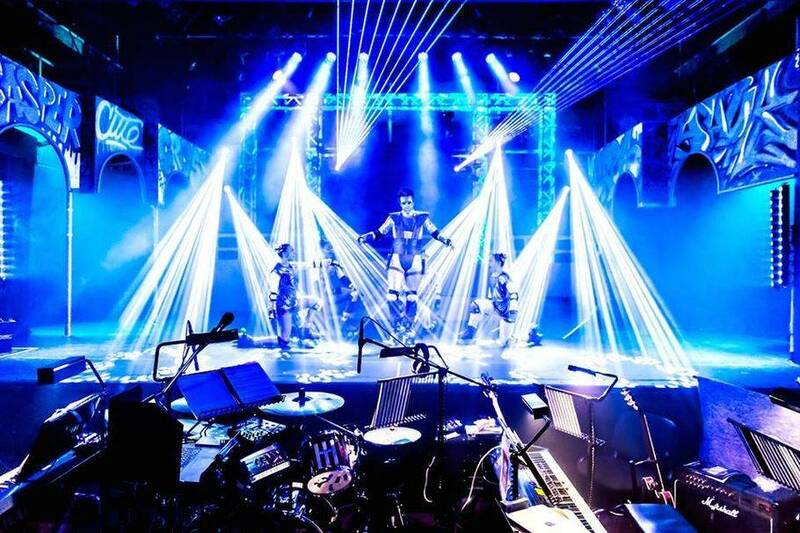 An incredible futuristic set with effective lighting and lasers set the scene along with superb costumes and fabulous make-up. 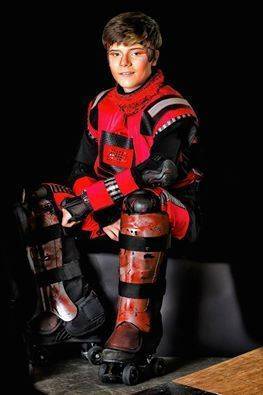 Every character’s face had been individually designed by a Theatre Make-up team of students from Bradford College. It was wonderful to see a full house. The audience erupted after the finale and gave them a standing ovation. One word “Stunning!!”. We came to yesterdays matinée, my 8 year old son has woke up singing Starlight songs & said it was “epic”! 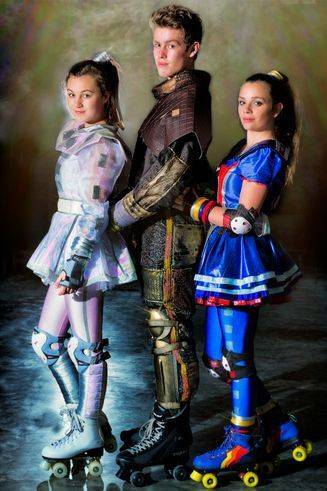 Well done to everyone involved in your outstanding production of Starlight Express. 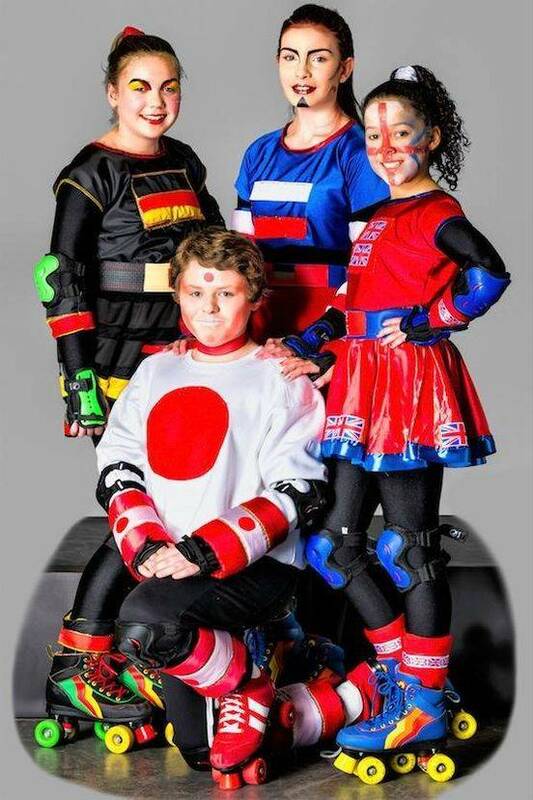 The individual performances, singing, dancing, skating, music, choreography, lighting and costumes all came together to produce a fantastic show! ‘I came to watch the show last night and just wanted to tell you how amazing I thought it was. I didn’t know anyone in the cast but I just love the show. The audience participation was fab and you should just be very proud. I hope someone can pass this on to the outstanding boy who played ‘Rusty’… The feeling he gave me last night whilst singing ‘Starlight Express’ (the last time) I have only ever felt once in my life and that was sat in a West End theatre in London watching a performance of Wicked. You were phenomenal and I’ll definitely be watching out for you doing big things. 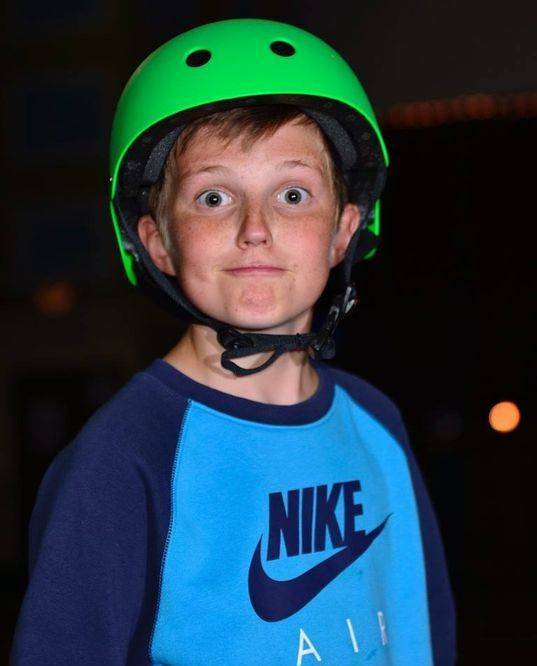 ‘Omg…. The show I watched last night was AMAZING that is definitely the best performance I have ever seen in my life. I am definitely going to watch different shows of yours AGAIN. Well done everyone’. 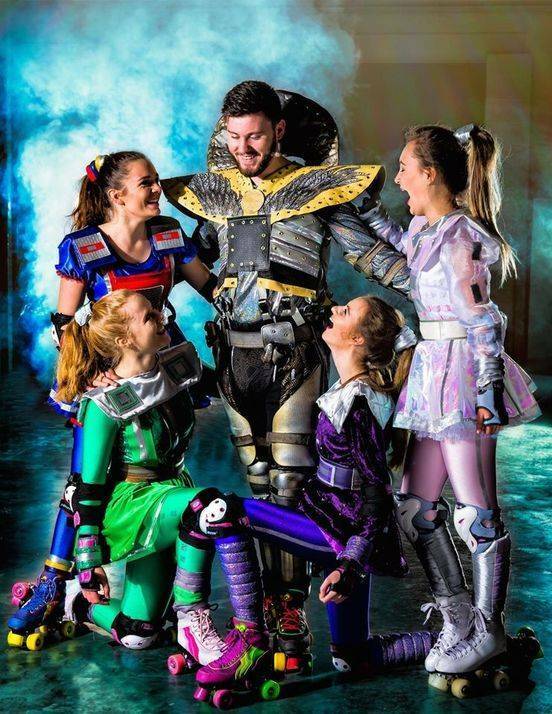 ‘Just wanted to say what a MASSIVE congratulations to everyone involved in Starlight Express. The whole show was ouststanding – from those running around backstage frantically, the beautiful makeup, the amazing set, the stunning costumes, the unbelievable lighting, the fantastic band, to the cast onstage. And what a cast!!!!! It’s hard to believe that some of you are as young as you are, as you all delivered performances with confidence and conviction way beyond your years. The vocals were incredible and you get top marks for making me cry – more than once! You would give any professional a run for their money and I am show proud of you all. Absolutely fantastic show, those who couldn’t get a ticket, what a fantastic show you have missed. From all the cast, the production team to the lighting team, the orchestra, the outfit maker (yes just one), the Bradford college make up artists and all the back stage helpers. What a fantastic job you all do. The show wouldn’t have been such a huge success if it wasn’t for you all. Big round of applause to you all. 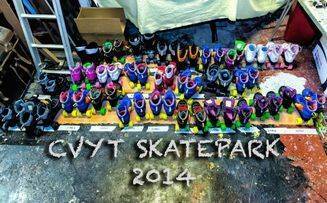 We can’t wait till next year for the next huge production. Sir Richard Stilgoe, who wrote ‘Cats’ and ‘Starlight Express’ with Sir Andrew Lloyd-Webber, has written for us about how the show developed and where the inspiration came from. 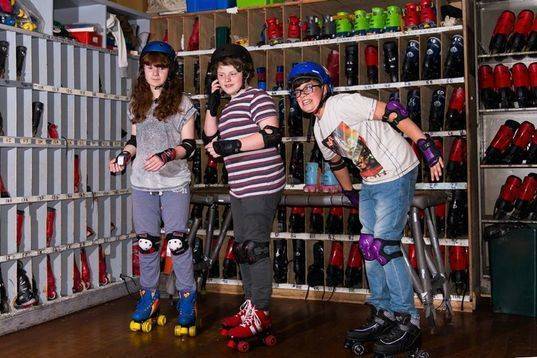 The roller skates were the idea of Trevor Nunn, the director. 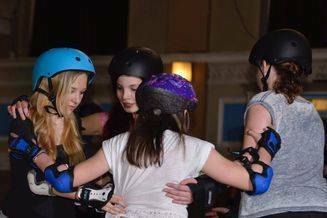 While directing Cats in New York, he saw some kids in Central Park doing amazing tricks on skates, and decided that was how Starlight Express should be done. 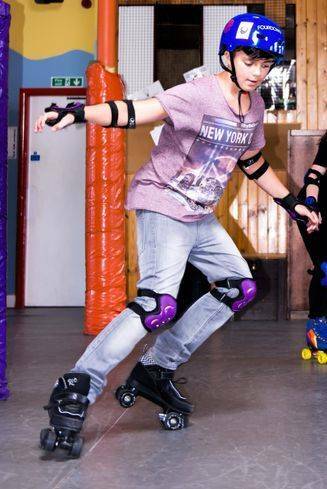 So when Sir Andrew Lloyd-Webber decided to go ahead with the show we started looking for musical theatre performers who could roller skate. There weren’t any!! 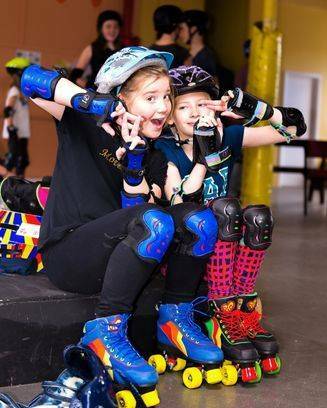 So we advertised in different places – Roller Hockey magazines, Skating clubs (there wasn’t the internet then, believe it or not, so magazines and papers were the only route). A kitchen fitter from Crawley turned up and sang Hound Dog, then put on his skates and jumped over the piano. We thought then perhaps the show might be possible. Indeed, we began to have such faith in it that one soggy afternoon I found myself standing with Sir Andrew Lloyd-Webber in the ruins of Battersea Power Station in London seriously discussing whether he should buy it and turn it into a theatre for Starlight. When it did open at the Apollo Theatre on Victoria Street in London on March 27th 1984 with a cast of brilliant singers, dancers and skaters, it caught the public’s imagination in lots of ways. The cast were young and sassy, and far more racially diverse than in most shows. It was obviously a family show, and meant to be fun, at a time when a lot of theatre was rather pompous. 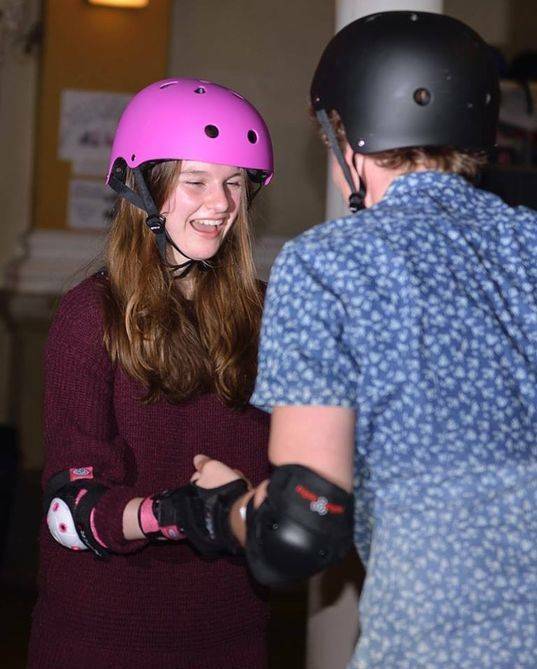 The roller-skating races gave it the feel of a sporting event as well as a musical. It also had a simple Cinderella-like story in which a put-upon young steam train finally wins against the bullying diesel train and the superior electric train. Best of all (for me) it provided for thousands of young people their first taste of music theatre – and sent them home thirsty for more. 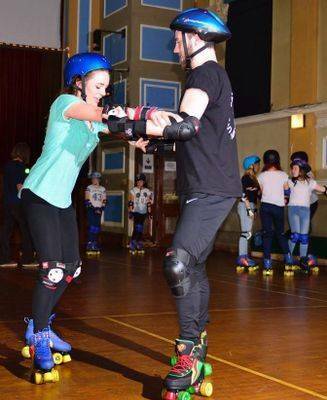 Our talented cast practising their skating skills at The YMCA in Halifax and Salem Mill in Hebden Bridge. 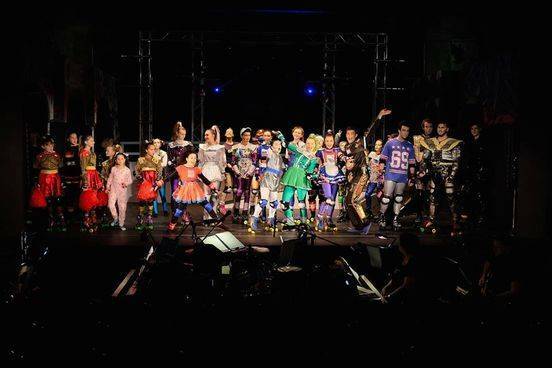 Following on from the recent success of ‘Cats’ and ‘Grease’, Calder Valley Youth Theatre are preparing to take on another epic Andrew Lloyd-Webber production, the classic rock musical ‘Starlight Express’. In the early 1970s, Lloyd Webber planned a musical adaptation of Rev W. Awdry’s Railway Series. However, Rev. Awdry refused to give Lloyd Webber permission to use his characters as he felt that he wanted ‘too much freedom with the characters’. 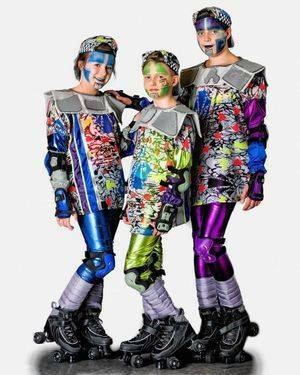 As a result, Lloyd Webber re-conceived the idea and put together the rock opera on roller skates that became Starlight Express. 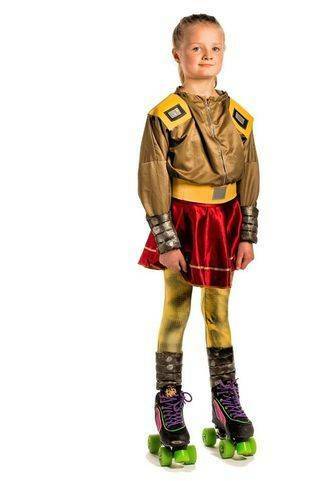 The plot revolves around a group of toy railway trains who come to life inside the mind of a small child. 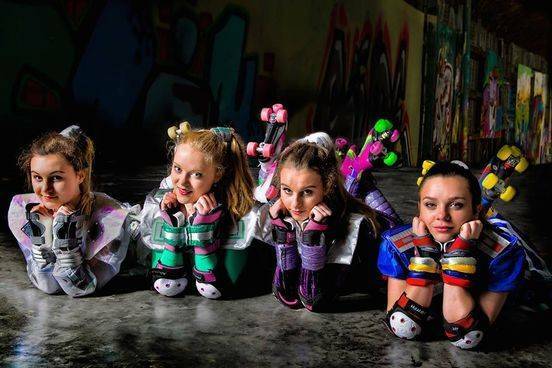 This action packed show combines the song writing prowess of Lloyd Webber, the highly imaginative choreography performed on roller skates and some anthemic songs to complete this highly energetic show. 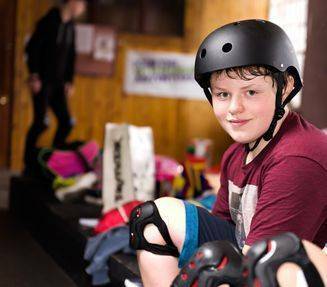 The cast of youngsters range in age from 9-18 and they have their work cut out between now and November learning to skate, dance and sing and then to combine all three. The production crew have to convert the Halifax Playhouse stage into something resembling a set Andrew Lloyd Webber would be proud of and along with the lighting and special affects this will prove to be a truly memorable production. 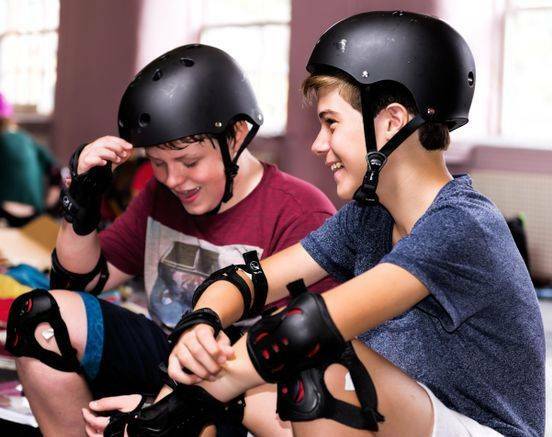 ‘The cast at Calder Valley Youth Theatre’s production of Starlight Express have just been kitted out with their roller skates and safety equipment for the show. 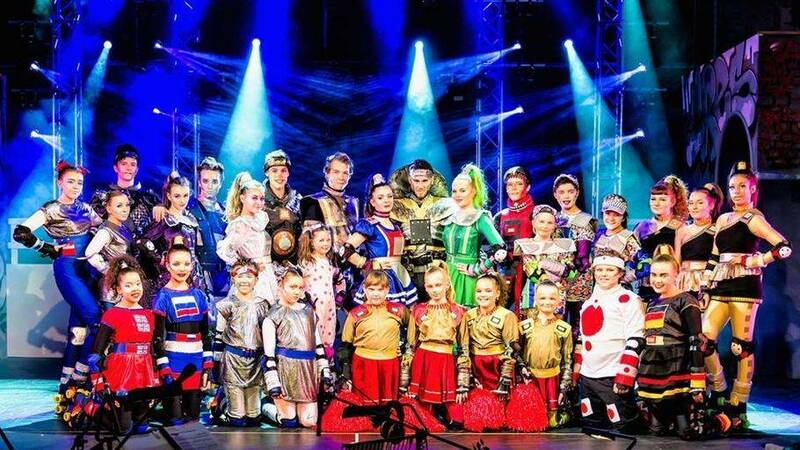 Following testing auditions in May, 32 youngsters made it through to what will be their biggest theatrical challenge to date. 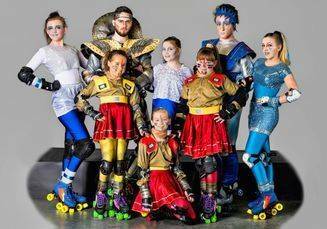 Andrew Lloyd Webber’s show combines great songs, all performed and choreographed on skates so everyone involved are working really hard to make it our best show yet’.